As he meets with customers around the globe, he often gets asked how important structural analysis is to Autodesk. He also gets asked to share information about the trends and innovations that are shaping their structural engineering offering. 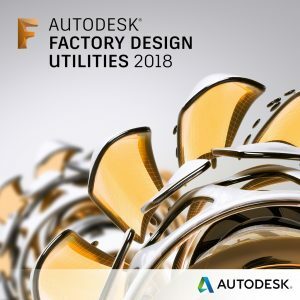 He can tell you that both—the structural engineering industry and the topic of structural analysis in particular —are very important to Autodesk. In his role, he is fortunate to see the amazing ways that Autodesk customers are innovating and shaping the future. While technology is rapidly changing how structural engineers do their jobs, certain trends are clear. He’d like to share with you some of these trends and how they will change structural analysis and related technologies in the future. After reading this post, you should have a good grasp of what the future could look like for structural analysis. If you look back in time, Autodesk’s approach to delivering structural analysis has been a pragmatic one, using both technology partnerships and in-house solutions. As BIM adoption started to grow in the early 2000s, they formed several technology partnerships with leading providers of 3D analysis software. Since then, numerous integrations with Revit have been created across the globe (see here for a past article talking about our integrations with analysis partners). These integrations have helped engineers better coordinate their structural designs when collaborating on BIM projects. Delivering in-house structural analysis has also been an important part of their offering. Investing in our Robot Structural Analysis(RSA) business has given us access to thousands of customers doing structural analysis on a range of project types world-wide. It also helped them deliver the first cloud-based, BIM-centric structural analysis solution to the industry. They believe these different in-house solutions, along with partner solutions, have helped engineering teams adopt BIM more quickly and with greater productivity. Looking ahead, he sees structural engineers continuing to expect pragmatic, open approaches from technology providers delivering structural analysis. However, the way these solutions are delivered to customers will be shaped by evolving trends and challenges facing the industry. Let’s now explore these trends in a bit more detail. Growing project complexity will require engineers to be better communicators and problem solvers. This will require greater coordination between specialists for various building components and materials. It will also require the use of more powerful computational modeling tools to explore and design a greater number of solutions more quickly. This trend alone will require engineers to have stronger skill sets in advanced analysis and new design methodologies like performance-based design. The globalization of teams will create access to a global pool of engineering professionals that can collaborate on projects. It will be fueled by a demand for a more skilled, domestic engineering workforce. To use this new engineering capacity, teams will need to organize, delegate and manage engineering tasks by level of complexity. These industry trends, along with technology advancements, will require teams to problem-solve in new ways. To manage such a broad range of specialized tasks and remain competitive, engineers will need to focus on higher value tasks while automating or outsourcing lower-value tasks. This vision is shared by David Odeh, CEO of Odeh Engineers and current President of the Structural Engineering Institute. David also sees a future where engineers embrace the automation of simple tasks to come and rise to the occasion to focus on higher value tasks, “…the same automated power that reduces the need for tedious engineering calculations also enables the analysis of more design options, more complex structures, and more resilient structures. And structural engineers are the professionals best suited for those demanding tasks.” This is echoed by a recent interview with Dr. Jerome F. Hajjar, PhD, PE, CDM Smith professor and department chair of Civil and Environmental Engineering at Boston’s Northeastern University. Dr. Hajjar takes it a step further, and discusses a future where engineers also provide value by focusing on sustainability and resilience—not just a response to hazard events. This is a great example of how BIM, IoT and the power of the cloud computing will help engineers deliver high value services to their clients in the future. They will do this in a way that continues to make them relevant and competitive. You can learn more about what Sensequake is doing here, but I, along with others, see this as the future of the industry and the beginning of how structural engineers will find relevance in an increasingly automated future. Simplicity – There is a rising expectation for AEC software to be easier to use and interact with, just like our smartphones and 3D gaming technology. Our future structural engineers are using Minecraft today and will want to use modern, easy to use analysis software in the future. Customization – Engineers have challenged us to reimagine structural design (code-checking) within a BIM-centric workflow, placing a strong emphasis on flexibility and transparency. You can call this a requirement to “open the black box.” He estimates that over half of all structural calculations are done using Excel. A big reason for this is the high level of transparency using spreadsheets. Optimization – The growing use of computational design is allowing engineers to explore a greater number of design options in less time. Coupled with the assistance of generative design algorithms and even machine learning, engineers will be able to study more design options more deeply than ever before. Automation – As more structural engineers adopt BIM, they will want to streamline much of the simpler analysis and design tasks as much as possible. Technologists must integrate all steps in the design process including design exploration, structural analysis, code-based design and detailing automation all in one. We are seeing some evidence of this consolidation by the number of technology partners now building analysis and design solutions directly on Revit that also automate detailing. The demand for greater Simplicity described above has been on the rise for several years now. In fact, this was a big driver for them to release the React Structures Technical Preview in 2015. The strong interest from engineers in React validated the need for a more modern, easier to use structural analysis software that connects to BIM. However, to deliver upon all four areas, a unique technology approach is needed and I believe that is Connected BIM. Connected BIM for structural analysis means centralizing the design process around BIM and the cloud. They are seeing increasing demand for BIM-centric, cloud based structural analysis especially in Europe. He would like to share with you how Autodesk, and its ecosystem of technology partners, are helping customers today do structural analysis using BIM and the cloud. As engineers expect structural analysis to be more BIM-based, He sees their analysis and design partners leading the way here. Partners are providing solutions today on top of Revit to streamline analysis, design and detailing for many different materials. For example, SOFiSTiK, and Graitec provide design-driven detailing automation for concrete rebar on Revit. They have IDEARSand Risa Technologies providing steel connection design on Revit. They also have StrucSoft delivering BIM-based structural analysis, design and detailing of timber and cold-formed steel structures. And, finally, AGACAD, StruSoft and PTAC’s Revit^EDGE deliver precast design to detailing on Revit. Autodesk is encouraging more partners to take this approach—especially with structural analysis— and, if the trend above continues, they see a future where structural analysis and design technologies will become less siloed and more ubiquitous with BIM. Structural analysis in the cloud has quietly been growing adoption in recent years. With Autodesk releasing Structural Analysis for Revit several years ago, he sees a number of start-ups now delivering cloud-based structural analysis and design services to structural engineers across the globe. Autodesk Structural Analysis for Revit enables structural engineers to conduct analysis in the cloud as a part of the BIM process. With Structural Analysis, engineers and designers can extend design models from Revit directly to the cloud helping to minimize disruptions to workflow and allowing users to continue to design as analysis is completed. Once the analysis is conducted, results can then be visualized and explored within Revit. At Autodesk, they are seeing a lot of development on their cloud platform, called Forge. Forge enables Autodesk and its ecosystem of partners to provide services in a new way that enables Connected BIM. A great example of partners using Forge is how IDEARS is using it to develop connection design documentation in the cloud from Revit and Advance Steel. Faster design exploration – Design will combine generative design algorithms with analysis, code-based design plus other simulation engines that capture new design factors like resilience and sustainability. 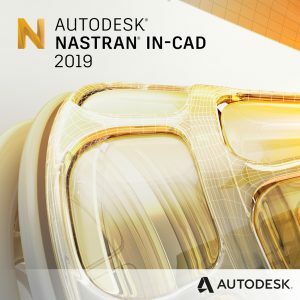 To imagine what this could look like for structural engineers, I recommend that you look at Autodesk’s Project Dreamcatcher or read about project Quantum as envisioned by Amar Hanspal at last year’s Autodesk University. Down the road, he expects to see generative design services popping up that will help engineers better optimize their designs around code requirements and even constructability. Faster QA/QC – Automation of routine analysis and checking will allow quality review tasks to be performed more quickly. An example of this is a service provided by BIM Assure. This software performs model checking of Revit models on the cloud. Though it doesn’t perform code-based structural design checks, it provides a great example of what is possible with cloud-based model checking at the BIM object level. Open-source customization – Open APIs combined with visual programming interfaces will open the “black box” of analytical model frameworks and code-based design rule engines. You are already seeing these tools available from Autodesk as desktop apps. Structural Analysis for Dynamo shows over 5000 downloads from structural analysis customers interested in further integrating RSA and Revit through Dynamo. I envision demand for similar cloud-based apps in the future. You can see that structural analysis connected to BIM and the cloud will reshape the future of how structures are analyzed and designed. A Connected BIM approach to structural analysis is key for technology providers to address the changing expectations from engineers.